As the major component in the National Park Service's restoration of Ellis Island, The Main Registry Building was converted into a museum that presents the history of the island and the human epic of immigration to America. Opened in 1990, the Ellis Island story is presented through a varied series of exhibits that cover more than 80,000 square-feet. 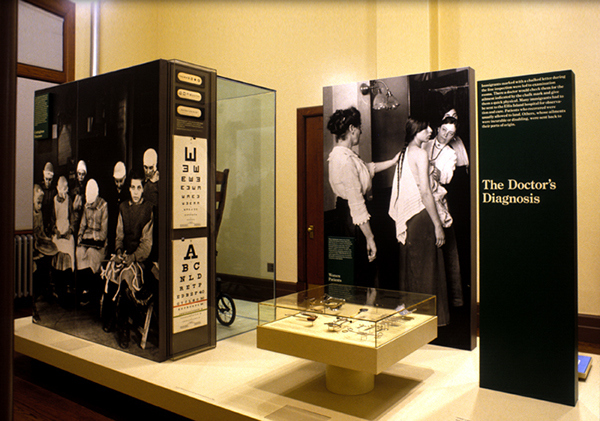 Exhibition design followed extensive original research and the assembly of an unprecedented collection of artifacts. 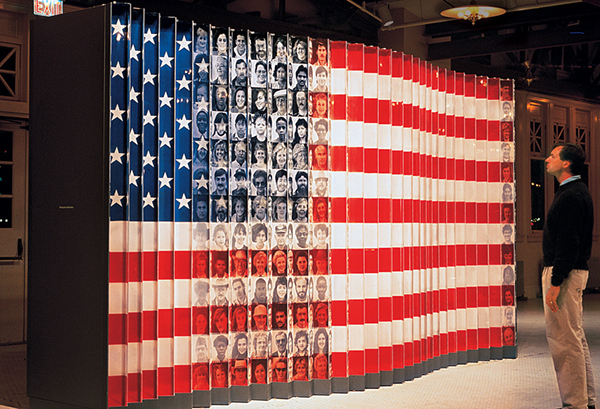 The symbolic flag changes from the American flag to portraits of 1,000 citizens as visitors pass by. Ellis Island As the major component in the National Park Service's restoration of Ellis Island, The Main Registry Building was converted into a museum that presents the history of the island and the human epic of immigration to America. Opened in 1990, the Ellis Island story is presented through a varied series of exhibits that cover more than 80,000 square-feet. 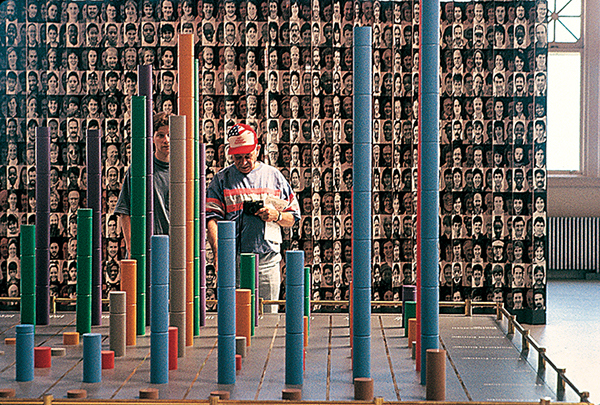 Exhibition design followed extensive original research and the assembly of an unprecedented collection of artifacts.